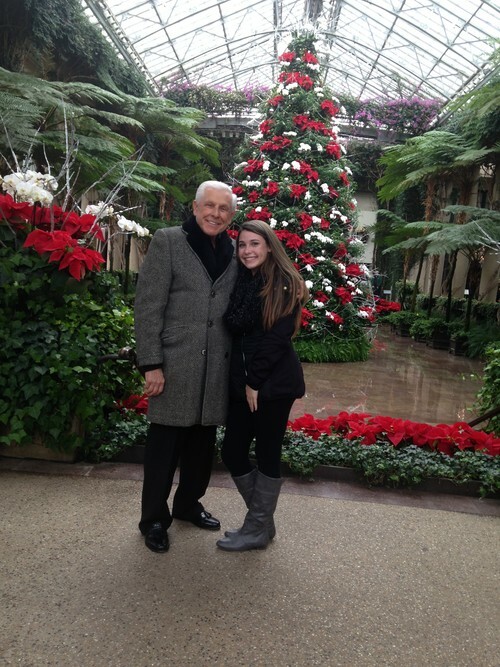 More than 50 Nottingham High School Italian Club members, Italian class students, parents and guests from Hamilton Township in Mercer County, recently visited Longwood Gardens in Kennett Square, Pennsylvania for the Italian Program’s annual Christmas trip. This visit was the first time that the Program went to a different venue after visiting Rockefeller Center in New York for the past eight years. The Longwood Gardens Conservatory contains over 4,600 different types of plants, trees, and orchids, as well as fountains. Each year the Gardens presents a different Christmas theme. This year the theme was music. The participants attended a sing-along in the Conservatory Ballroom and had occasion to sing Christmas carols along with the Garden's 39th largest organ in the world. Afterwards, participants enjoyed a wonderful lunch in the Gardens upscale cafeteria restaurant.